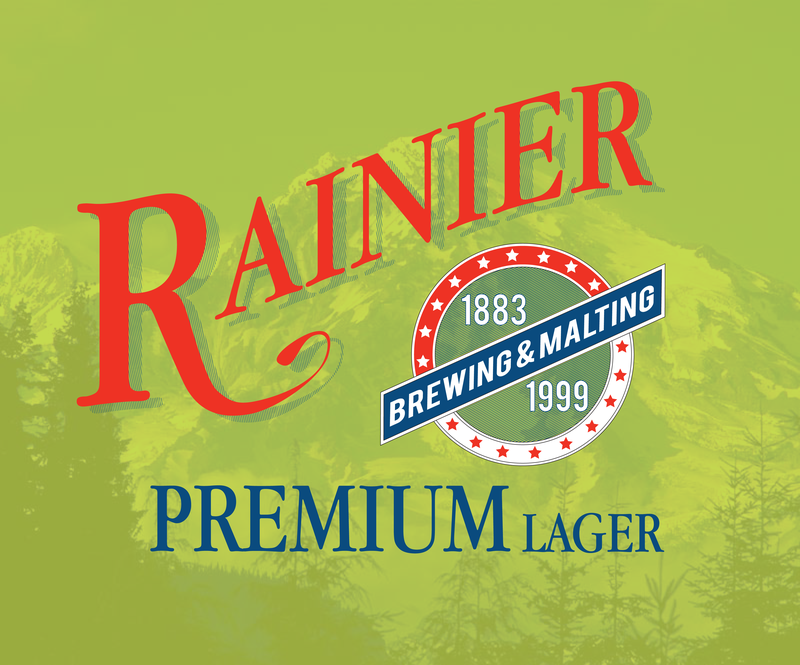 As an example, lets look at a darling relic of the Pacific Northwest – RAINIER BEER. What this beer needs – OR ANY BEER YOU CHOOSE – is a logo update, can or bottle label designs, carton design, and maybe a coaster or patch for good measure. PROTIP: The best way to ‘research’ whatever beer you’re redesigning is to drink a bunch of it. Good luck! 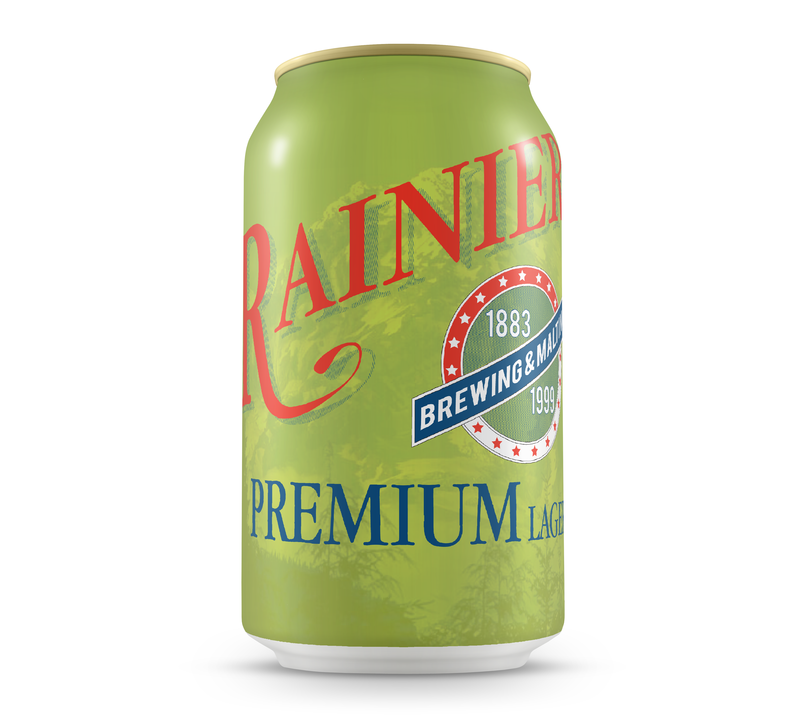 Rather than make some kind of flashy modernist twist on an old beer, I decided to see if I could just touch on the outdoor and classic taste that Rainier would be marketed towards. I made the can green because it will stand out next to every other american lager (other than rolling rock) and kept with some modification the seal that has been on their labels throughout their history. I dig it. A lot. But I think you can do better on the typography for the R–the proportion and direction of the leg (I don’t know what else to call it) seem just a tad off…and maybe it’s too thin at that one point? Don’t get me wrong, though. It’s great and is certainly a gazillion (technical terms only) times better than anything I could ever come up. But you are the one who posted it on the web…and your blog allows comments…so…there. Ya, that is my one issue with it currently. I actually think I’d take it the other way, making it skinnier to look like a fly fishing line. I either way you’re right, there is something a little off. And I have no idea how you were able to wrap it around a can. It’s mind bottling…boggling……bottling.